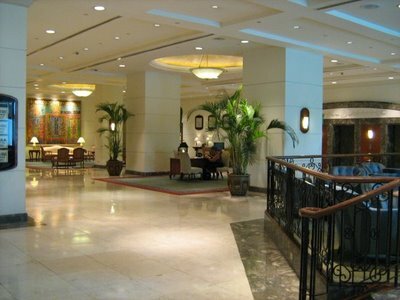 Marco Polo Hotel - Davao is one of the top premier hotels in Davao City. 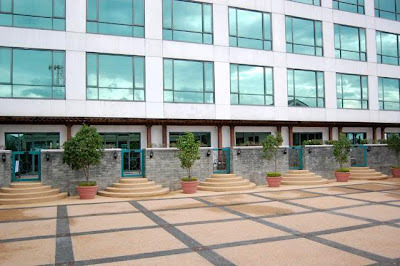 This 18-storey Hotel sits on a 6, 687 square meter lot located at the very heart of downtown Davao City, at the corners of Claro M. Recto and Manuel Roxas Avenues. The Hotel has 245 elegantly designed rooms and suites that command a magnificent view of the Davao Gulf, and on the other side, a panoramic view of the majestic Mount Apo, the Philippines' highest mountain peak. 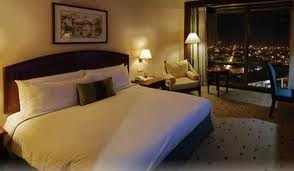 The Hotel has 80 Superior Rooms, 123 De Luxe Rooms, 4 rooms for the handicapped, 7 Cabana Rooms (Cabana View Deck, Cabana Terrace, Cabana Suite, and Cabana Honeymoon Suite), 5 Deluxe Executive Rooms, 21 Continental Executive Rooms, 3 Club Suites, a Marco Polo Suite and a Presidential Suite. All rooms are furnished with executive desks, remote-controlled LCD color televisions with Cable TV, fully-stocked mini bars, coffee and tea makers, private baths with hot and cold showers, queen or twin beds, International Direct Dial telephones with voice mail facilities and extensions, fax and modem ports, broadband internet services, individual adjustable air conditioning system, electronic room locks, and personal safes. 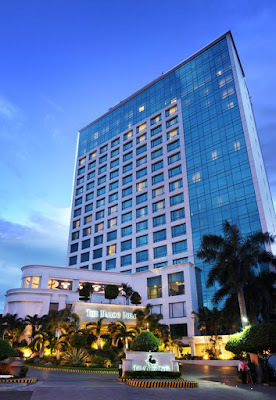 Marco Polo Davao has 122 elegantly furnished Superior Rooms, located on the 4th to the 10th floor, with a panoramic view of Mount Apo or Davao Gulf. 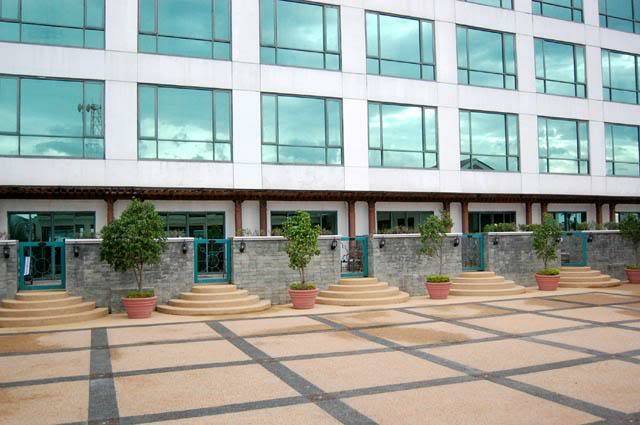 Deluxe Executive Suites are located on the 11th to 16th floors and provide scenic views of Davao Gulf and Mount Apo. Each Suite comes with the Continental Club benefits along with the standard amenities, and butler service. Cabana Rooms are located on the 4th and 5th floors with a view of Mount Apo. Each Cabana Room provides a host of Continental Club benefits, and standard amenities, including personalized registration in an exclusive check-in and out area, and has a patio, or balcony leading, or overlooking to The Deck which consists of a courtyard, Sarangani Function Room, Polo Bistro Pool Lounge, Fitness, Centre, and Lazuli Spa. 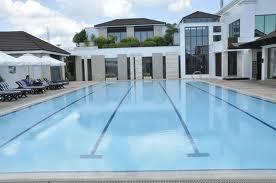 The Cabana Terrace Rooms and Cabana Honeymoon Suites are situated on the 4th floor of the Hotel. 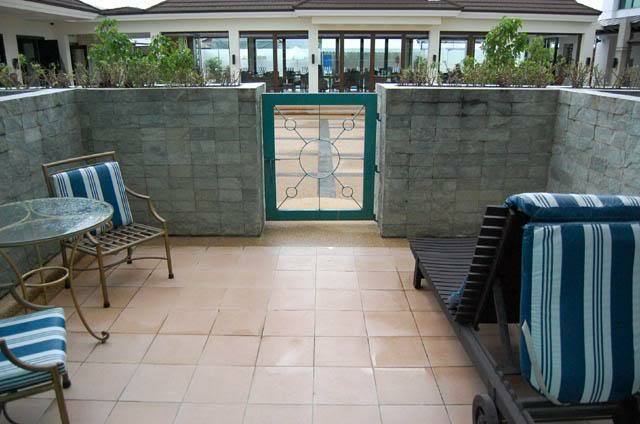 Each of these rooms exits into a patio, which leads to The Deck. The Cabana View Deck Rooms and Cabana Suite are located on the 5th floor. Each room opens to a balcony overlooking The Deck. The Continental Club Rooms are located on the 17th and 18th floors with scenic views of Mount Apo or Davao Gulf. These Club Rooms provide standard amenities, butler service, personalized check-in and out, and complimentary refreshments. 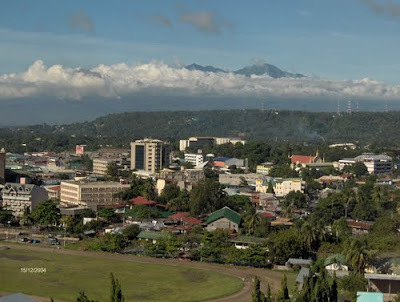 Continental Club Deluxe Room Mountain View has a total floor area of 32 square meters with VIP amenities that provides an exciting view of downtown Davao as well as an imposing view of the City’s mountain ranges. Continental Club Deluxe Room Sea View likewise has a total floor area of 32 square meters with VIP amenities that provides an impressive view of downtown Davao, and the deep blue waters of Davao Gulf. 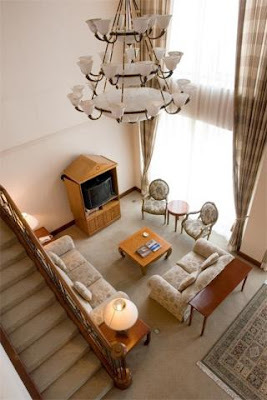 The Continental Executive Suites combine the privileges of Continental Club floor with the functional elegance of a standard room with butler service, private reception areas, complimentary refreshments, among others. 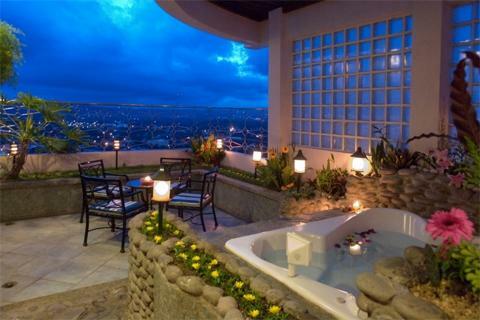 The Suites offer breathtaking views of Mount Apo or Davao Gulf, and are ideal for families because of their size. 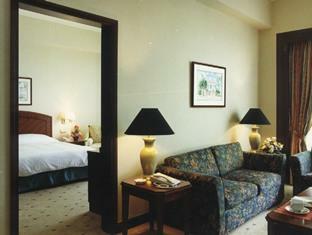 Continental Executive Suite Sea View features VIP amenities and state-of-the-art facilities. 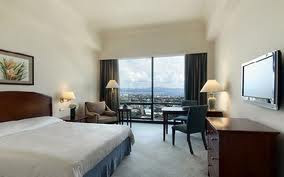 Each room provides a magnificent view of the City and Davao Gulf. Situated on the 18th floor of the Hotel, Marco Polo Suite is ideal for families because of its communicating door with another room. 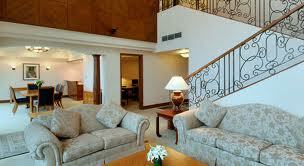 The Suite has a private reception area, exclusive check-in and out privileges, and butler service. 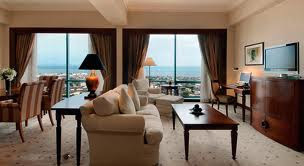 Presidential Suite Sea View is the best suite in the Hotel, and is located at the penthouse. 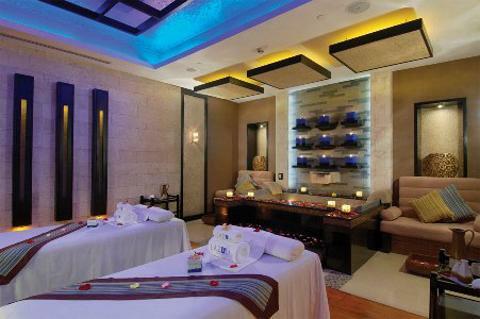 The Suite features VIP amenities and state-of-the-art facilities to please the most discriminating guests. 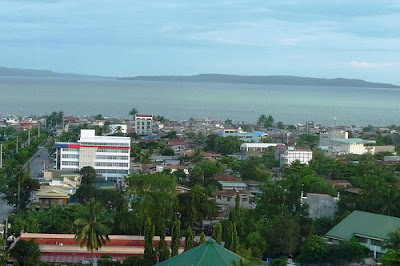 It provides an exhilarating view of Davao City, Davao Gulf, and outlying islands, and has a total floor area of 224 square meters. The Marco Polo function rooms are perfect venues for business meetings, conferences, seminars, banquets, weddings, celebrations, fashion shows, and other social functions. 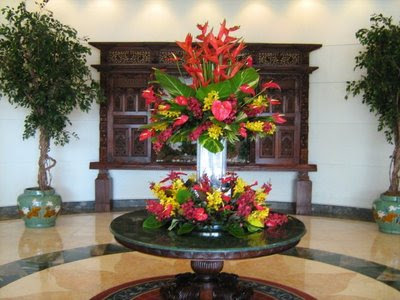 The Hotel has a highly trained Banquet Team that assists guests in making every occasion a success. 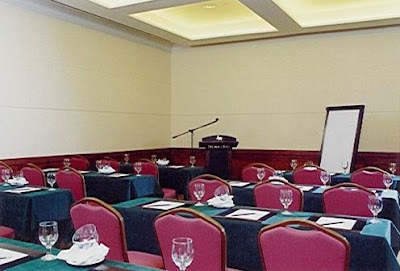 The Marco Polo Ballroom is located on the second floor of the Hotel and can accommodate 300 guests schoolroom style, 600 theater style, 750 cocktail style, and 425 banquet style. The ballroom can be divided into three separate function rooms, each of which has an average dining capacity of 128 persons, and is perfect for business and social functions. 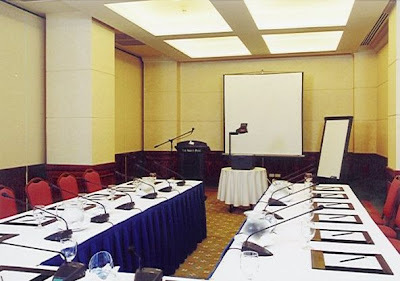 All rooms are equipped with the latest in audio-visual facilities. The Pre-Function Area has a total floor area of 220 square meters and can accommodate 250 guests for cocktails. Sulawesi Function Room is located on the ground floor, and can accommodate 45 guests schoolroom style, 80 theater style, 100 cocktail style, and 40 banquet style. Mindanao Function Room also located at the ground floor, can accommodate 55 guests schoolroom style, 100 theater style, 125 cocktail style, and 50 banquet style. 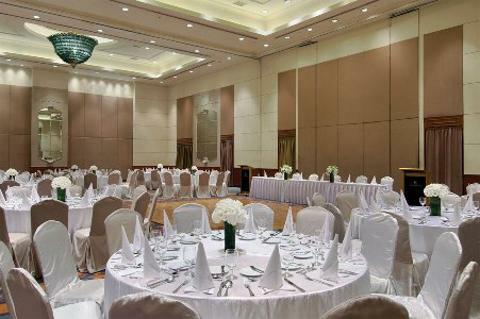 Borneo Function Room can accommodate 35 guests schoolroom style, 60 theater style, 80 cocktail style, and 30 banquet style. Likewise located on the ground floor of the Hotel. 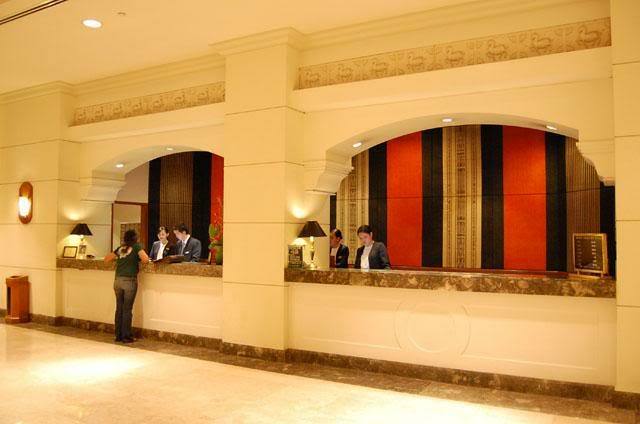 The Hotel Davao has a 24-hour Business Center that provides busy business travelers secretarial services, word processing, facsimile, photocopying, Internet access, at a nominal fee. 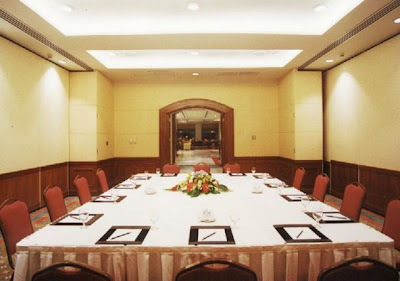 The Lotus Court is located at third floor of the Hotel, and is a perfect venue for business entertainment, and social gatherings with Private Rooms that can seat 20 to 100 persons. 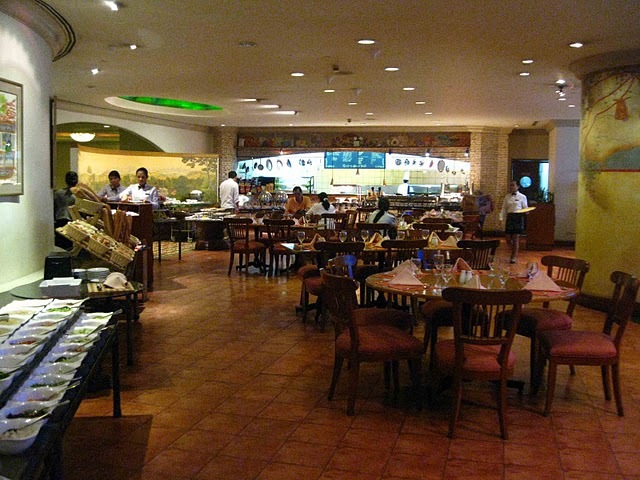 The Restaurant serves the finest selection of authentic Cantonese cuisine and fresh seafood in a cozy setting. 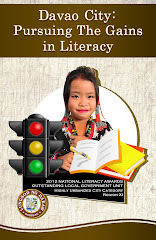 It is open from 11:00 AM to 10:00 PM: Lunch is served at 11:00 AM to 2:30 PM, and Dinner at 6:00 PM to 10:00 PM. Café Marco serves Filipino, Asian, Mediterranean and International cuisine, and a sumptuous buffet in a sophisticated yet casual and relaxed ambiance. 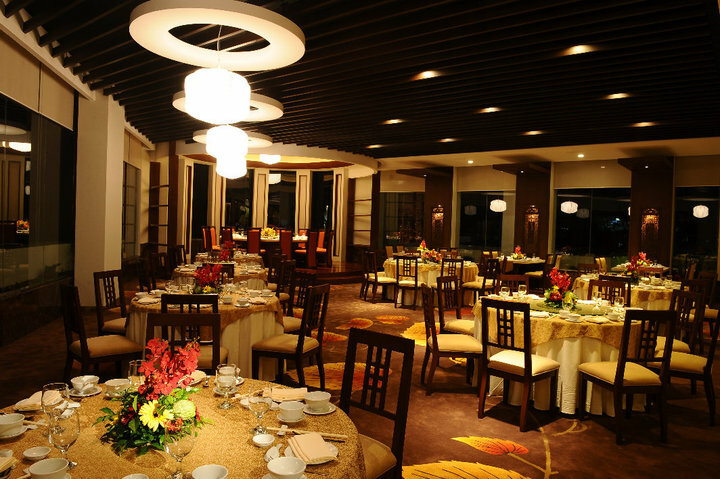 It is located at the second floor, and can seat 138 guests. Breakfast is served at 6:00 AM to 10:30 AM, lunch at 11:30 AM to 2:30 PM, and dinner at 6:00 PM to 10:30 PM. 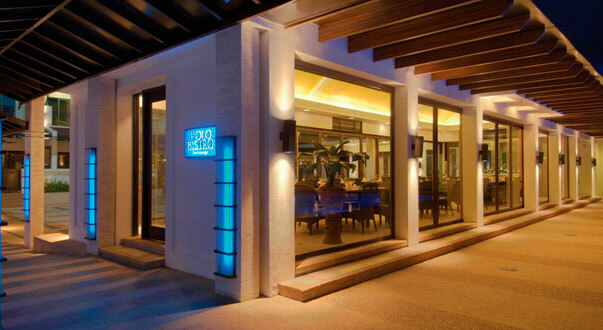 The Polo Bistro Pool Lounge serves International a la carte food and cocktail drinks with Mount Apo and Davao Gulf as the backdrop. It is located at The Deck of the Hotel and can seat 60 guests. 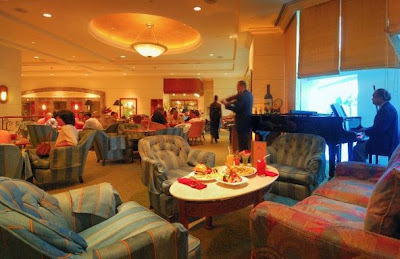 The Lounge is open from 11:00 AM to 11:00 PM. The Eagles Bar serves a wide range of liquors and cocktails in a classic bar setting, and is a perfect place to unwind after a long day's work. 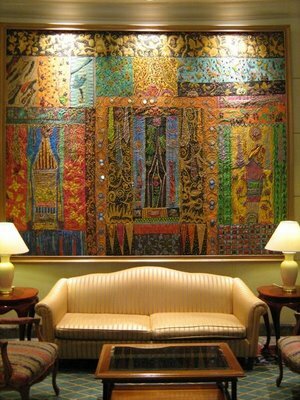 It is located at the Main Lobby at the left side main entrance of the Hotel. 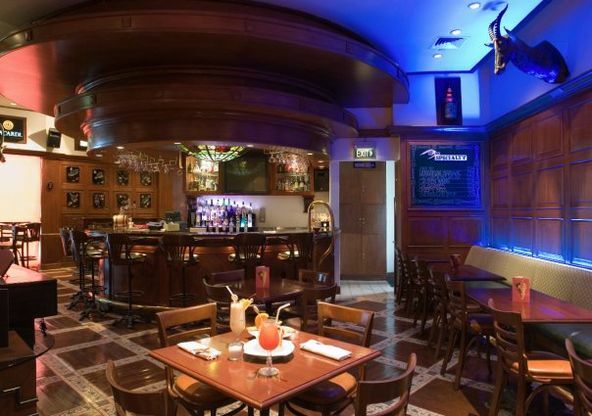 With its rich wood paneling and comfortable leather seats, the Eagles Bar can seat 48 persons. The Eagles Bar is open from 5:00 PM to 2:00 AM. 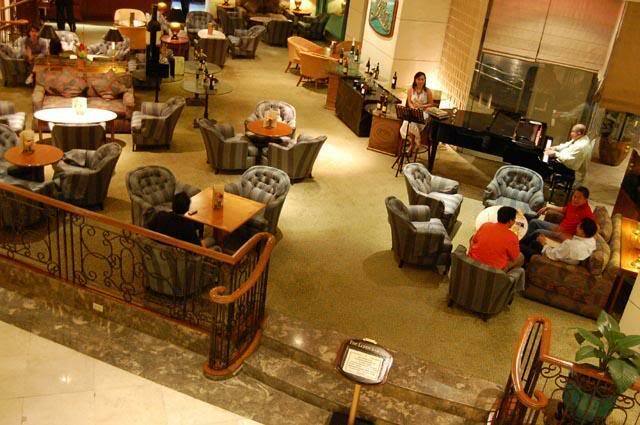 The Lobby Lounge is located at the main lobby and can comfortably seat 48 persons. 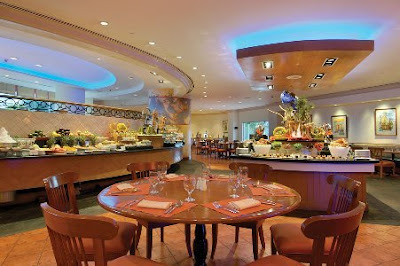 It is open from 6:00 AM to 12:00 midnight, serving a blissful palate of international cuisine, and an all-day menu of light snacks, desserts and beverages. 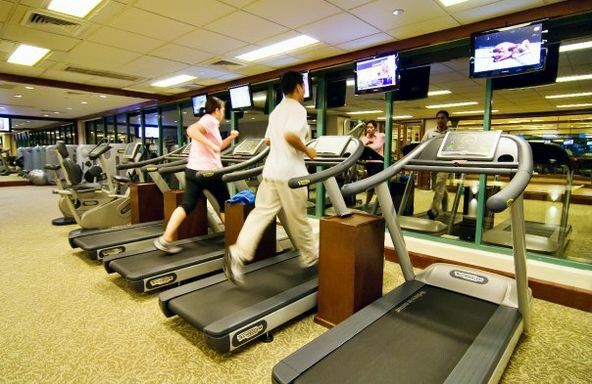 Fitness Centre is a two-storey fitness gym which features state-of-the-art equipments, complete with aerobics room, sauna and massage rooms, and is located at The Deck of the Hotel. The Deck consists of a courtyard, Sarangani Function Room, Polo Bistro Pool Lounge, Fitness Centre, and the Lazuli Spa. 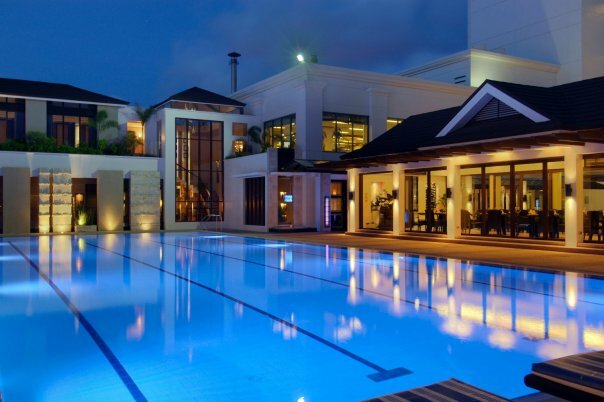 All rates are in US$, inclusive of taxes, service charge, and breakfast. 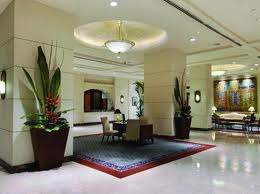 Check in time is 2:00 PM, and check out time is 12:00 noon. Rates are based on twin or double sharing only. Marco Polo Hotel - Davao is about 12 kms from the Davao International Airport, and is a 20-minute drive by car, or by the Hotel’s shuttle bus, which services hotel guests to and from the airport at a nominal fee. I went to check your website restaurant secret recipes and find it very informative. There was once an Indian restaurant in Davao City that served authentic Indian cuisines but, say to say, had already closed shop. The restaurant was Taj Minar. It was a good place to dine and unwind after a long day's work. The owner, Mr. Zafar Khan, an Indian-Canadian, was very hands-on, and is very visible in the restaurant. Mr. Khan often served the meals to guests of the restaurant himself. I regret the restaurant went out of business. 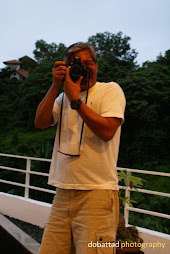 Thank you for dropping-in to check my blog.Please drop-in again for future posts and updates.